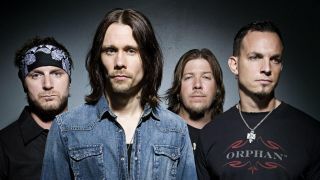 Alter Bridge will tour Europe in November and December this year, including seven shows in the UK with Volbeat. Like A Storm appear at all shows, with Gojira playing at later continental dates, and another support act to be confirmed for the first 10 gigs of the 24-date run. Tickets go on sale via venues at 9am on July 7 (Thursday) with an O2 presale the previous day. General sales commence on July 8. Can you identify these 12 rock bands translated into emoji?